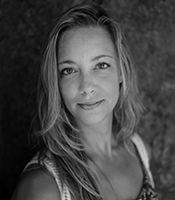 JULIANNE HARPER is an educator, performer, director, and choreographer. She has trained in various dance forms, ranging from contemporary to tap, and holds a BFA in Contemporary Dance from the University of North Carolina School of the Arts. Currently Ms. Harper teaches dance for UNCSA’s Acting Out program, is an apprentice fellow for A+ Schools of NC, and serves as a teaching artist for Dancing Classrooms. Her work with Take the Lead North Carolina is dearest to her heart, providing children the opportunity to learn about themselves and others through the joy of movement. Watching the growth of the students as they gain confidence and respect for themselves as well as their classmates is an immeasurable experience that continues to enrich Ms Harper’s life well beyond the walls of the classroom.